The triptych pictured here by Francis Bacon, Three Studies of Lucien Freud, is now the most expensive art work ever sold at auction, having fetched $142.4 million during Christie’s contemporary auction in New York last night. 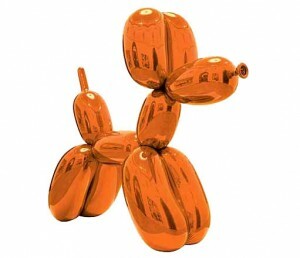 TheBalloon Dog (Orange) by Jeff Koons below is now the most expensive art work by a living artist ever to sell at auction, having sold for $58.4 million. In fact, the Christie’s sale achieved a total of $691.6 million, the highest amount ever raised in one auction, easily trumping the $495 million record that Christie’s set at its New York contemporary evening sale this May. 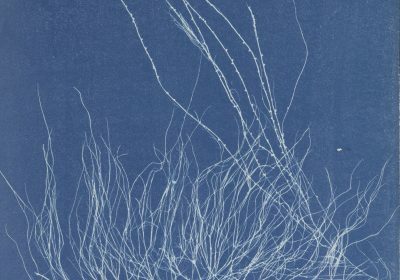 Aside from Koons and Bacon, new artist auction records were also set for Christopher Wool, Wade Guyton, Willem de Kooning, Donald Judd, Wayne Thiebaud, Ad Reinhardt, Vija Celmins and Lucio Fontana. What does all this mean? The Scream by Edvard Munch, formerly the most expensive art work to ever sell at auction after it fetched $119.9 million at Sotheby’s last year, was at least an iconic, instantly recognizable work. The Francis Bacon is not, although its former owners did buy the three paintings that make up this triptych individually and reunite them again, which obviously added to its rarity and appeal. That said, the former record for Francis Bacon was set for another triptych that sold in May 2008 for $83.6 million, so last night’s buyer, a client of Aquavella Galleries in New York, didn’t exactly snag a three-for-one bargain. I’ll leave you to ponder what it means that a Jeff Koons balloon dog, one of a series of five, is now the most expensive work by a living artist sold at auction, knocking Gerhard Richter off that perch. It’s not as if other Jeff Koons pieces have fared particularly well so far at auctions this week. Two Jeff Koons works were withdrawn at Christie’s last night before the sale began, while his Teddy Bear (Pink) sold for a hammer price of $1 million, the low end of the estimated range. His Buster Keaton sold at Phillips on Monday night for below the estimated range. What did last night’s sale mean for the sellers? After all, record-breaking results tell us little about art as an investment. Six works by Luc Tuymans. Jean-Michel Basquiat, Maurizio Cattelan, Dan Flavin and Roy Lichtenstein failed to sell at Christie’s last night, and as Dan Duray points out in the Observer, another Cattelan piece sold for $965,ooo, considerably less than the $1.5 million it fetched at auction in 2010. Still, others sellers did well. Eric Clapton sold a second Gerhard Richter painting from a group of three he bought together for $3.4 million in 2001. The sale for his first raised$34.2 million last year and yesterday he sold another at Christie’s for $20.8 million. Even taking taxes, transaction costs and insurance into account, that’s a pretty impressive return. I’ll come back to financial returns made by the sellers after the New York contemporary sales wrap up this week, so watch this space. *Unless otherwise stated, all the prices here include the buyer’s premium, or commission that the buyer pays to the auction house. The actual hammer price for the Francis Bacon was $127 million, while the hammer price for the Jeff Koons was $52 million.